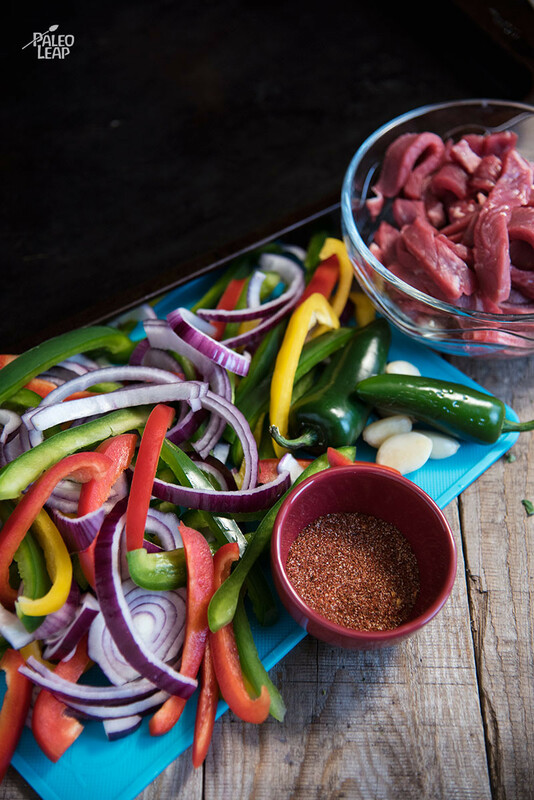 High-strung fajita purists, look away now, because this recipe is about to get creative. Instead of being grilled or pan-seared, this version is baked in the oven, with the meat and the vegetables all together. It only takes a couple minutes on each side before everything’s ready to load into your choice of lettuce wrap or cauliflower tortillas (or to just eat plain with salsa or whatever other toppings you like). This is a great trick to have up your sleeve for a night when you want something now and don’t have a lot of options. It’s basically roasted meat and vegetables, but the spices tie it all together and it’s a seasoning combination that kids will love. If you have anything left over, this would also be good cold for a lunchbox the next day (with or without any kind of wrap). It’s already cut into conveniently-sized pieces for forking right into your mouth! SERVES: 4 PREP: 15 min. COOK: 12 min. Preheat your oven broiler to 500 F.
In a small bowl, combine all the ingredients for the fajita seasoning, and whisk until well combined. 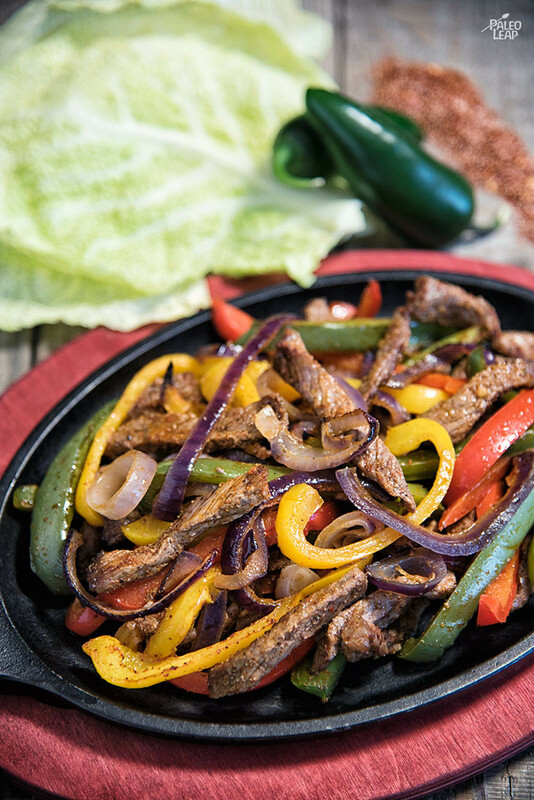 Add the vegetables and steak to a bowl, season with the fajitas seasonings, drizzle with olive oil, and toss until well coated. Place the seasoned vegetables and steak on a baking sheet. Broil in the oven 5 to 6 minutes, turn the meat and vegetables once, and cook for another 5 to 6 minutes. Serve with your choice of fresh salsa, lettuce leaves, or cauliflower tortillas.